they see Northern revenge in dormant EFCC sudden CBN zeal: if you think Northerners are looters, wait until you see the Southern bank pen robbers. By the time most Nigerians realize the extent of the rut that dispossesses them of basic square meals a day, they would care less if the British came back. Indeed any loyal and dedicated Nigerian from any region of the Country would be a blessing. These banks chiefs were prostituting young graduates, not relatives, to generate funds, laying off workers and cutting benefits; blaming world recession while spending billions on leasing, maintenance and acquisition of private jets. Sanusi knew about how they siphoned money into personal accounts as one of the good old boys, they never expected him to spill. So we cannot blame the masses for their cynicism in the banks clean up when we know that in Nigeria probers are also crooks looking for ways to waylay the looted funds into their vaults. Even all Abacha's loots cannot be accounted for. The well guarded house full of all kinds of Abacha's foreign currencies turned out empty by the time probers got inside. They cannot account for Tafa Balogun looted funds. Suspicion of Northern takeover is abundant in view of meetings, if true, by the retired generals on their next move. Before then there were stories in the newspaper of impending take-over of viable banks in the South. Anyone from any region can buy shares in banks. If they love the banks so much, let them buy controlling shares. If there is no law preventing foreigners from buying shares, nobody or region can be prevented from buying controlling shares. The only problem is using Government or people's money by anyone or any segment of the Country to gain an undue advantage over others. Steal Abu's money to buy Abu. The Government is pouring money into the banks in the name and interest of the common man so that our savings and shares will not be lost as usual. But whenever militricians figured out where funds are being allocated, they would hijack it; unlike talikawa without any access or gain. It is true that as a result of the global recession the Government may need to stimulate our economy since demand for oil in the world markets may be lower. Buying less oil and other products from Nigeria could reduce funds going into the banks. What is not true is that because world banks are depressed, Nigeria banks suffer from the same cause. The reason world banks are suffering is because of toxic loans to some home owners who could no longer afford mortgages schemed to them by unscrupulous lenders. As others lost their jobs, they defaulted on monthly payments. There is no commitment to mass housing in Nigeria to turn the working and the middle class into homeowners since the time of Jakande and Shagari. Where are the signs of the housing boom for poor folks like us in Nigerians today? Nigerians have developed this notion that political leaders belong to certain region, civil service are influenced by certain region, commerce dominated by certain region, professional services like banks, medicine and law monopolized by certain region. If any region is not well represented in each of these areas, influx by another is seen as a takeover. This is what sound and equal education all over the Country is supposed to address. If the South cannot compete with North politically, or the North with South in western education; we develop suspicion for unequal access which may have some basis. It boils down to the realities we face today and why we are so suspicious of one another's motives even if it is in the benefit of the Country. When this division deepens, we hurt ourselves badly. When straight forward problems hang on the Country looking for impartial navigator, arbitrary and capricious appointments undermine one region or another. Democratic government that acts recklessly like the military loses benefit of good judgment in successive appointments. Banks unlike politics need specialized training. Some people have complained that Lamido Sanusi lack such training. But the courageous steps he has already taken points to leadership skill with guts that are needed for such corrupt practices which are being exposed in sacked chief executives of the banks. Sanusi will betray his good intention to clean up those banks and our trust if all this exercise is to replace trained professional thieves with naive political rogues. 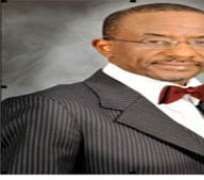 So far so good as many of us bet on Sanusi for his fearless approach. The fact that he rejected welcome-bribe from those who used to be his colleagues in the banking sector was a good sign. Each time there is a change of leadership from governors to permanent secretaries, welcome-bribes are given. It is usually a collection from staff and subordinates to appease the gods. After receiving large amount of money in billions, it would be difficult to turn down fraudulent requests. It takes a disciplined man like Sanusi to turn down that kind of money, but no blank check on trust. Therefore all the meetings that are being held by powerful groups with the hope that they will be able to influence Sanusi may come to naught. The big test is how Sanusi can survive after turning down and exposing his colleagues and powerful regional interest groups. This is why nothing works in Nigeria and made it such a difficult country to govern. If you do not bend to their wishes, they are willing to run you out of town. Indeed, they will predict when and how your tenure will to end, knowing we could hardly agree on looters and probers.